In the last article, we did a lot of setup - we got input/output handling in place, and added a compressor to the processing chain as an example of an “effect module”. In this article, we will continue adding effects, including a dual overdrive module and a three-stage EQ/Filter module. 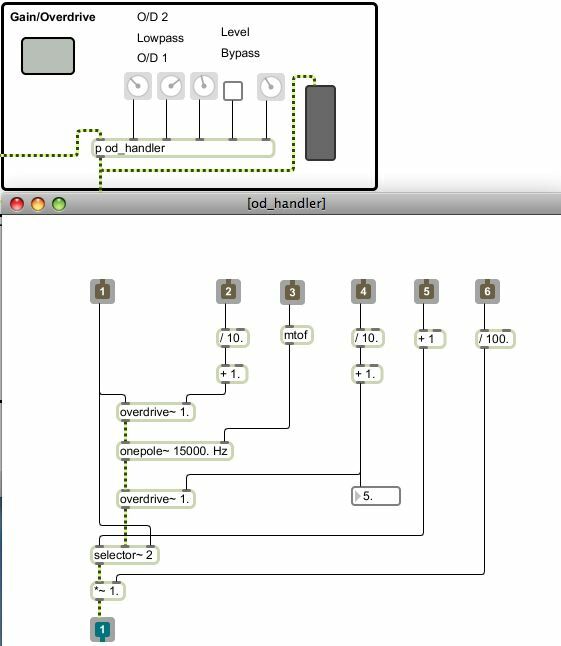 With these additions we will further explore Max 5’s user interface options, as well as taking a look at some of the “tweaks” that make Max/MSP functions a little more guitar-faithful. a collection of waveshaping functions and demos, requires Max 6.0.4 or later. 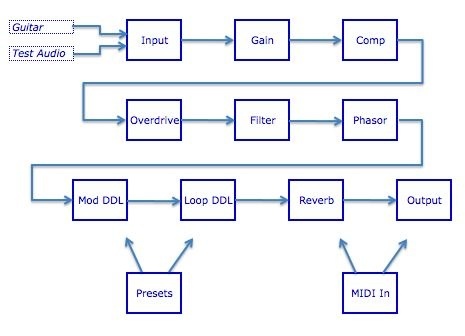 - update, v.
In an earlier article, Andrew Benson and Ben Bracken went through the process of connecting a guitar to a Max-based processing system, and creating a few guitar-oriented effects patches. In this series of articles, I will be building a Max-based guitar processing "rig", and will give you the opportunity to look over my shoulder as I design and implement this system. Amnon Wolman creates music with technology and for instruments with two distinctive features: first, a subtle and complex relationship with popular culture and second, a concern for the dramatic nature of sonic evolution. His first release on the c74 record label is "Dangerous Bend." In this conversation with Ben Nevile, Wolman discusses his romantic compositional techniques and reveals the unusual nature of his introduction to computer-based music.